STRINGS: NS Electric Strings standard. Compatible with standard violin strings. ELECTRONIC: New Dual Mode Signall Output Electronics of the NXTa takes the convenience, versatility and performance capability of the NXT to another level. - Active Mode - Using the supplied charger, plug the NXTa into any AC outlet for 60 seconds to power the capacitor-powered active circuit for up to 16 hours of performance time. The instrument can then be plugged straight into any low or high impedance device, no direct box necessary. Since there is no signal loss over the full frequency spectrum of the instrument, the fundamentals of every note remain clear and strong, even with extra-long cables. 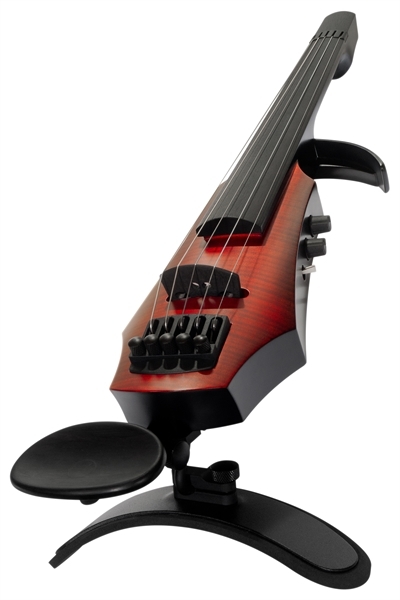 VIOLIN CADDY: Designed to cradle NS Design violins, the Violin Caddy unit mounts to any mic stand and provides the player with ready-to-grab convenience, in the studio or on the stage. 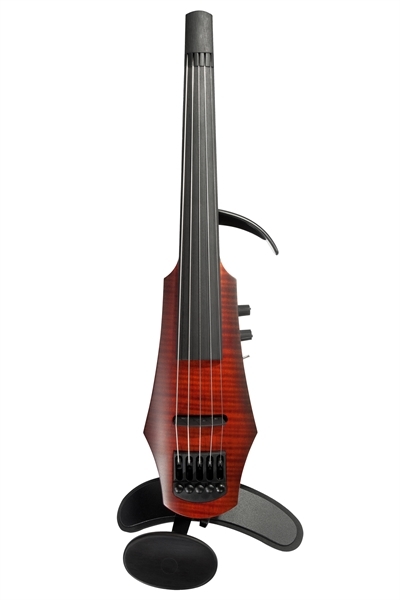 Four rubberized arms are positioned to match the unique contours of the NS violin, while a cutaway on the back plate allows the instrument cable to remain attached if desired. The caddy also features a hook for the bow. 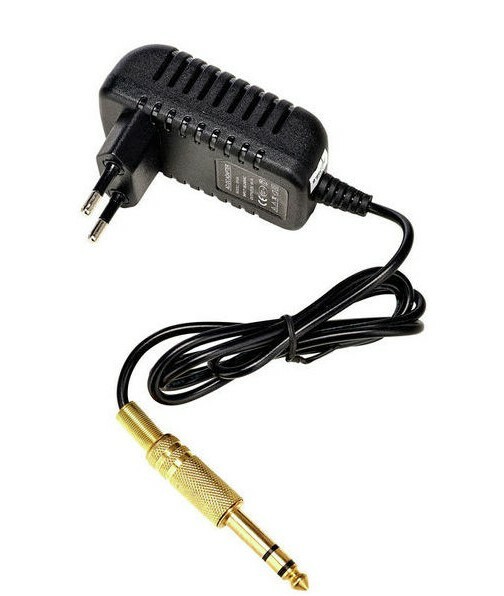 Attaches to the mic stand with a standard 5/8 inch thread. Weight .2 kg (.5 lb). FLIGHT CASE: Plywood, aluminum sided. 6.3 kg (14 lb) loaded weight. Padded, form fitting interior. Holds bows, shoulder rest, output cable, and extra gear, with lock and key. 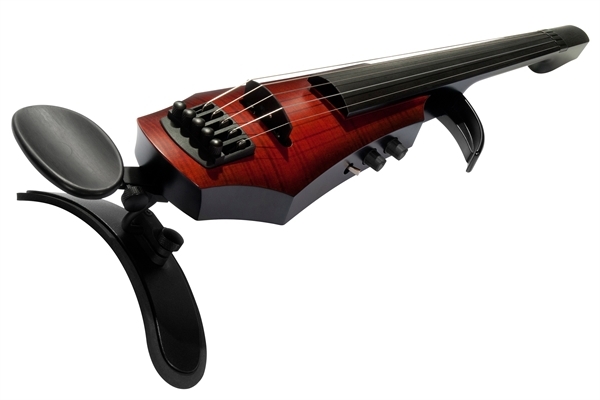 The NXT violin, 4 or 5 string, standard or fretted, opens up a new horizon for the serious musician seeking to play a world-class electric violin on a limited budget. These instruments, crafted in the Czech Republic by the makers of NS Design's renowned CR series, exemplify flawless workmanship at an incredible value. 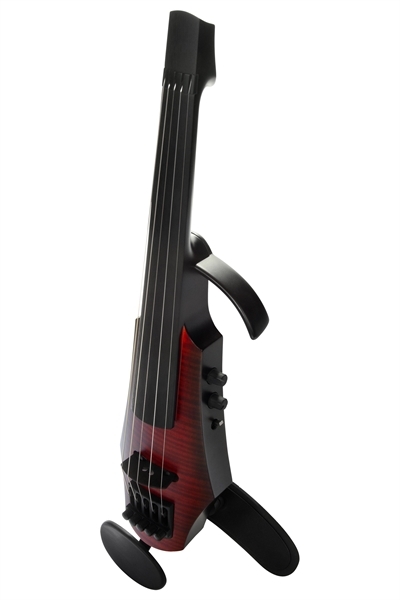 Light weight and perfect balance are critical performance factors for any electric violin, and the NXT Series tops the charts as one of the lightest electric violins on the market. Weighing in at 585 grams (610 grams for the NXT5), the NXT pioneers special carving techniques to reduce the weight of the maple body, while preserving extraordinary rigidity and striking good looks. 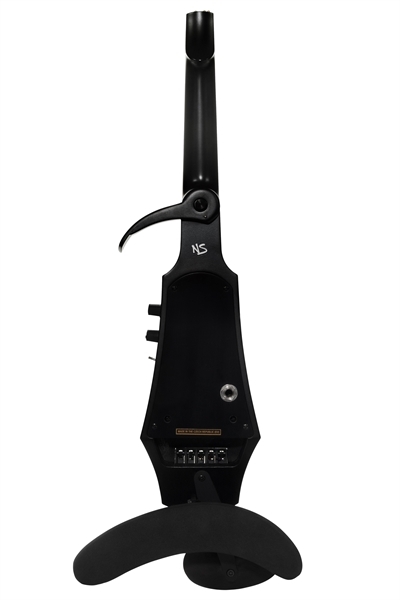 Ultralight tail-mounted tuners allow precise adjustment, easy string changes, and keep the balance point of the instrument close to the shoulder for maximum comfort. 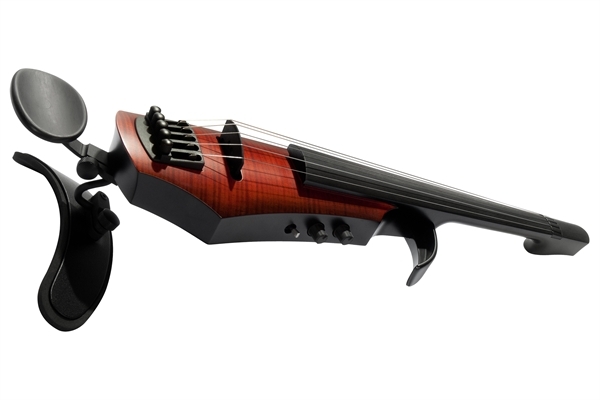 As adaptable as it is powerful, the NXT adjusts easily to any violinist's style. A contoured ebony chin rest is standard. So is the Custom Shoulder Rest which is fully adjustable, and whose base can be readily formed to fit the chest and shoulder perfectly. The optional Adjustable Chin Rest is also available for players wanting a more extensive range of position adjustments for further customized fit and comfort. 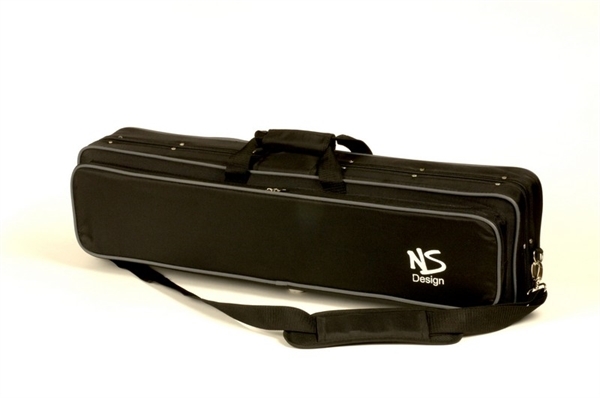 The NXT also accepts NS Design's revolutionary Balanced Shoulder Rest, which secures it effortlessly in optimal playing position. Using set screws, the rock-maple bridge can be readily adjusted to the desired action height—high and powerful, low and fast, or anywhere in between. 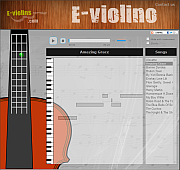 Copyright © 2019 e-violins.com. All rights reserved.